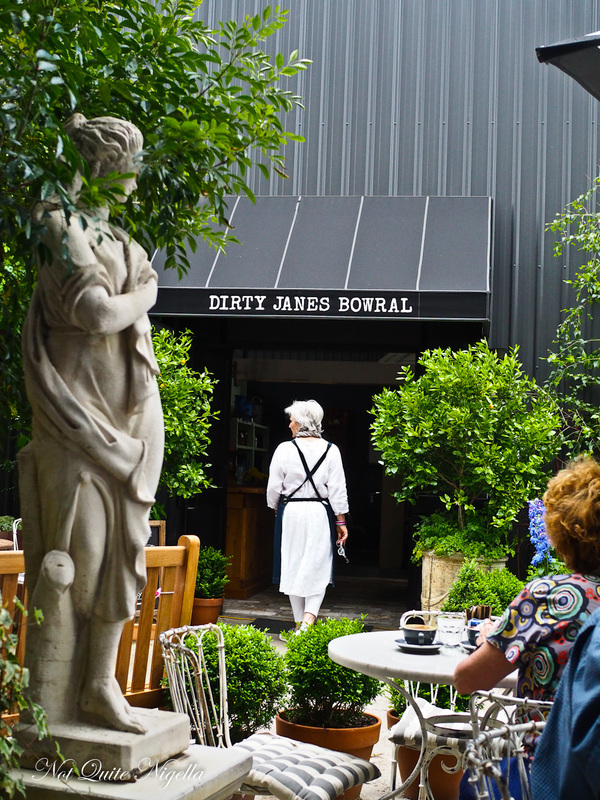 3 Fabulous Places to Shop and Eat At in Bowral! Headed to the Southern Highlands these holidays? 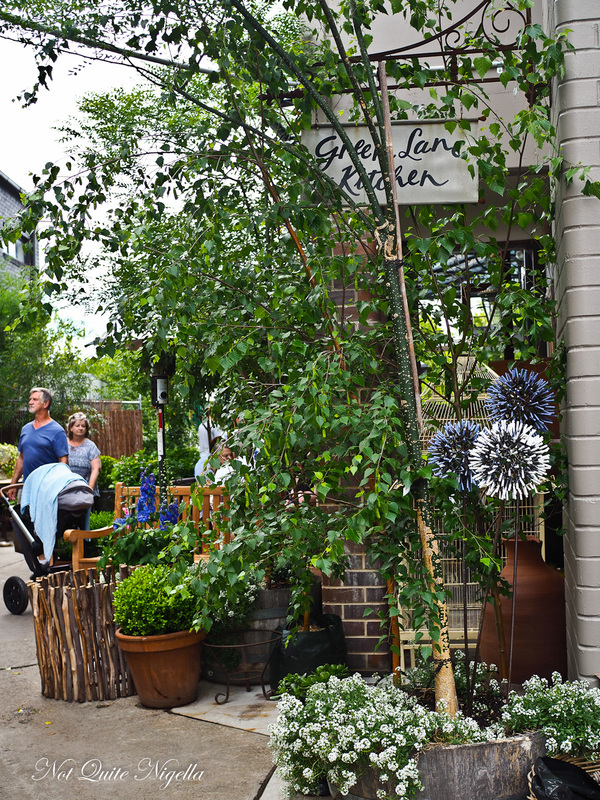 Bowral has no shortage of lovely places to shop and eat. 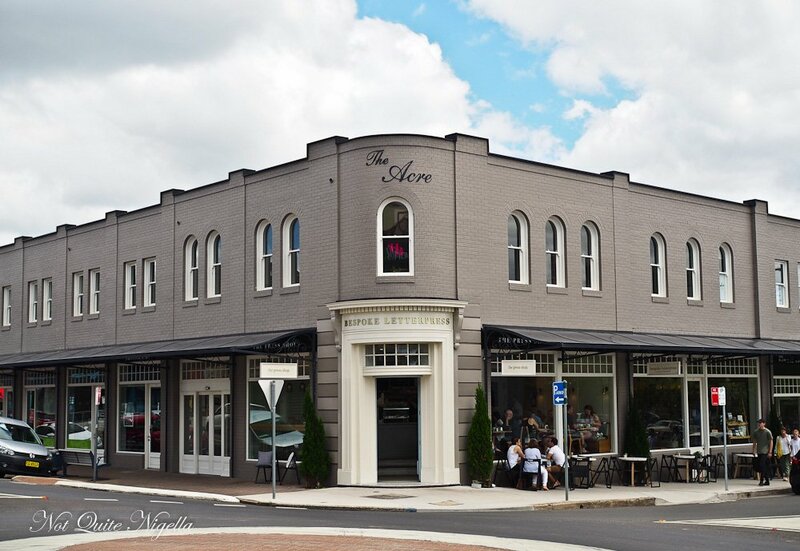 If you want to find adorable shops and great eats, here are three great places to stop by where you can shop and nibble! 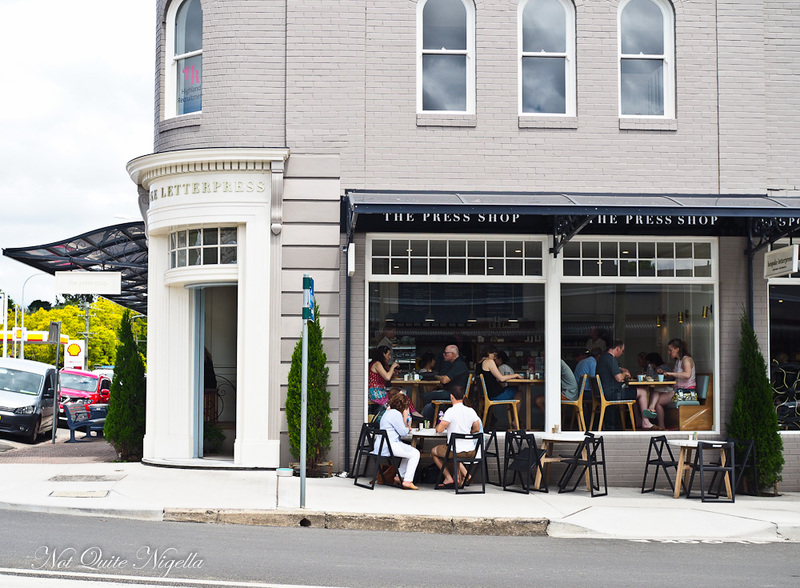 The Press name has dual meanings - for a cafe there is of course the coffee press but the Press also refers to this gorgeous cafe's other businesses i.e. design studio, print studio and letterpress stationery store. You can browse all sorts of gorgeous stationery, order special seals as well as all the accoutrements for a paper enthusiast. 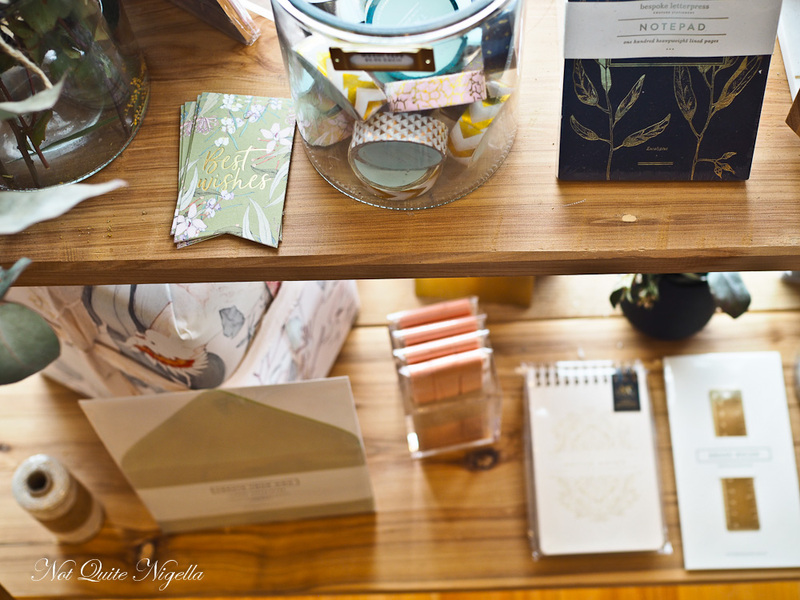 All of the stationery is designed and printed in Bowral. The coffee is by Five Senses while the tea is by Little Wildling Tea Co. using organic, wild grown tea leaves. My chai is very good and comes with enough for two full cups while Mr NQN enjoys his coffee. 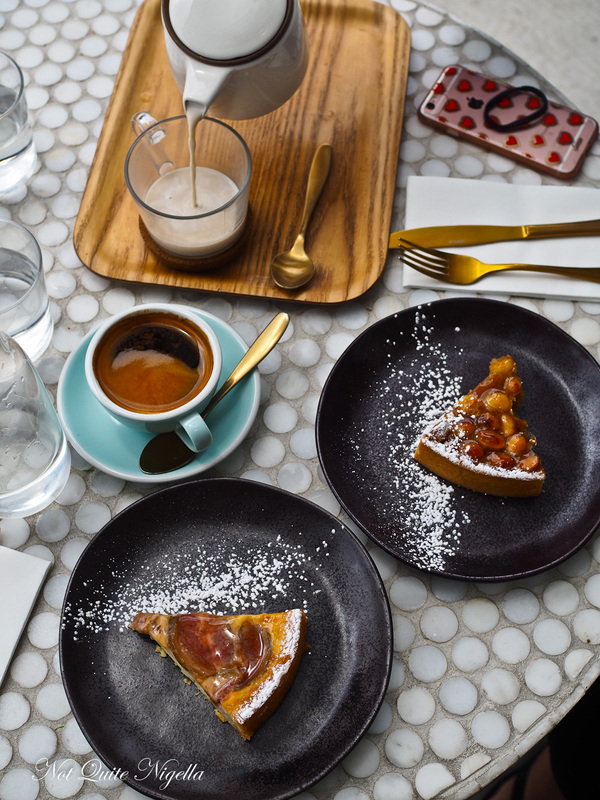 We try this with a delicious macadamia caramel tart (like a pecan tart but with macadamias) as well as a fig and custard tart, both house made. 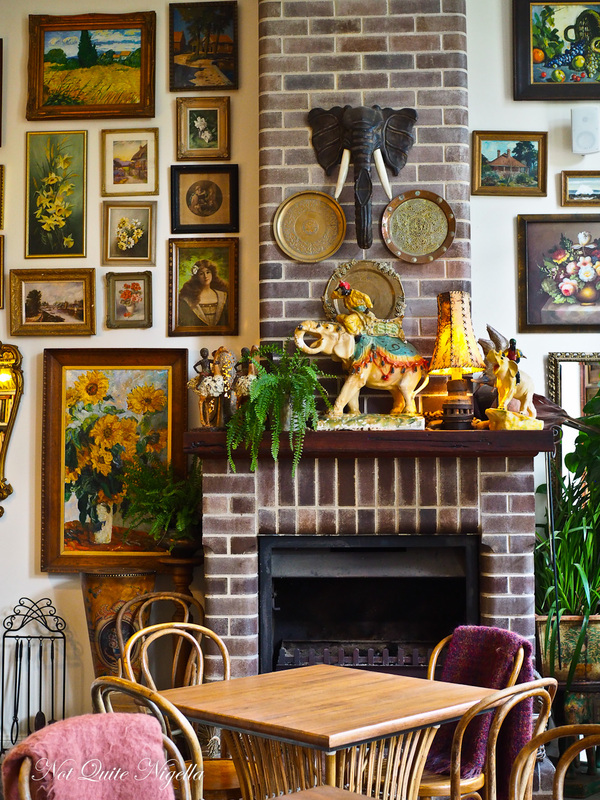 Dirty Jane's is a popular stop for antique lovers. It is named after convict Jane Dumphrey who was sent to Australia in 1840 after being caught stealing from a doctor's home where she worked as a scullery maid. Such was her skill at charming and manipulating people that she was given a pardon by the time the ship arrived in Australia. Jane was then introduced to the ship captain's cousin Tom Gully in Gundagai and made her journey there. She was so covered in mud by the time she arrived that they named her "Dirty Jane." She helped him appraise knick-knacks (a skill she had learned from her father, a rag and bone man) and when Gully died in a flood, he left the business to her where she continued to flourish. 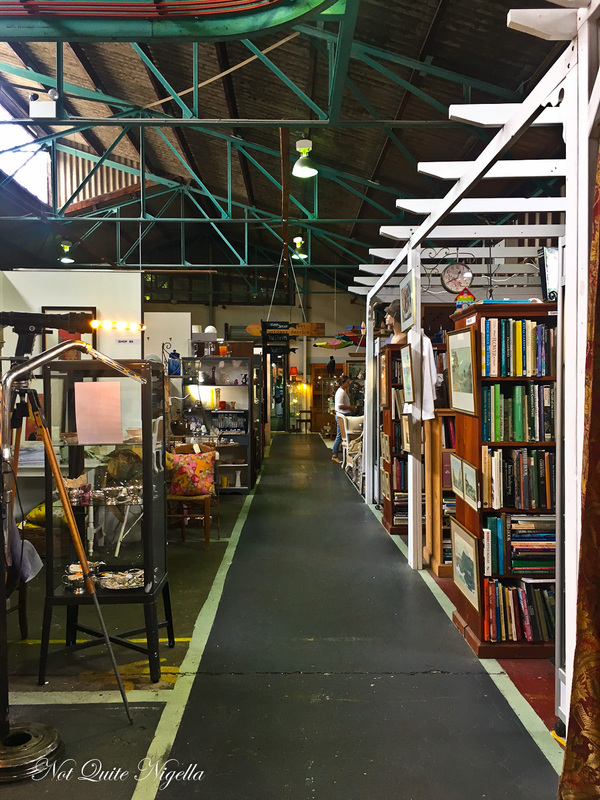 It's a sprawling series of rooms featuring antiques from over 75 vendors. It's worth spending at least half an hour there to see if anything takes your fancy. There is also a small tea room spread over two rooms but if you want afternoon tea on a weekend, book ahead. Harry's On Green Lane is located off Banyette Street between Dirty Jane's and The Press. 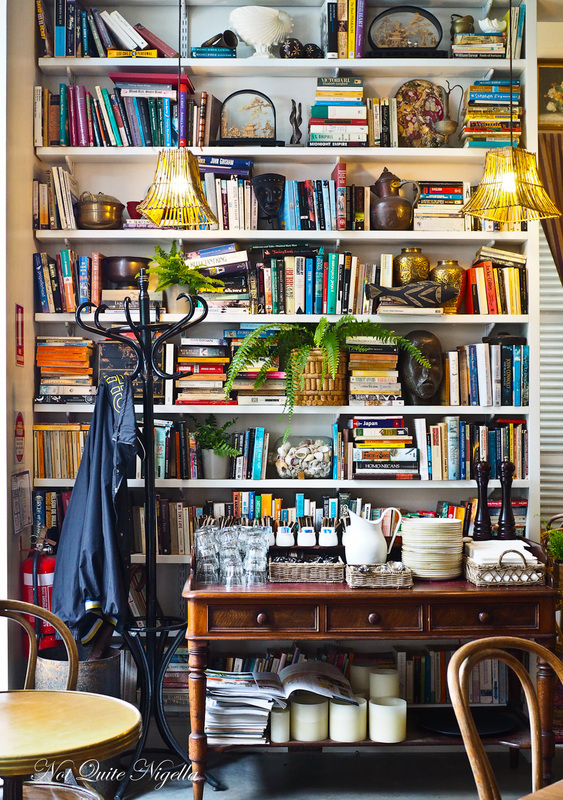 The walls are lined with books and bookshelves and tables are either sun drenched among leafy surrounds or inside among the books. At the back, the Potting Shed is where you can buy vintage gardenalia, topiary, perennials and edibles. The Harry that the cafe and wine bar is named after is Sir Harry Veitch who was a 19th century horticulturalist in London. He is also known for establishing the Chelsea Flower Show. There are plenty of plants for sale as well as garden furniture. But we're here for the food of course. 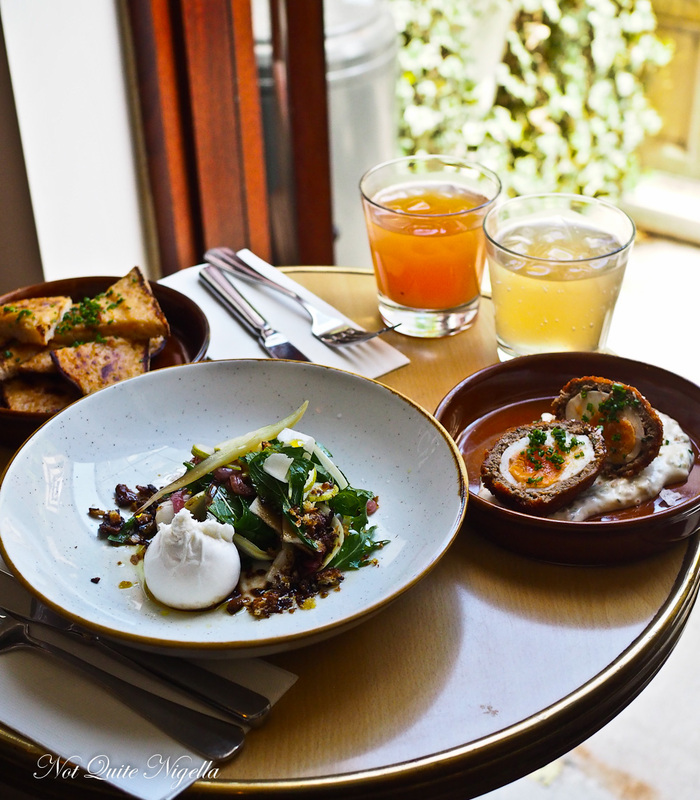 After a quick browse of the menu we locate some tempting lunch options. 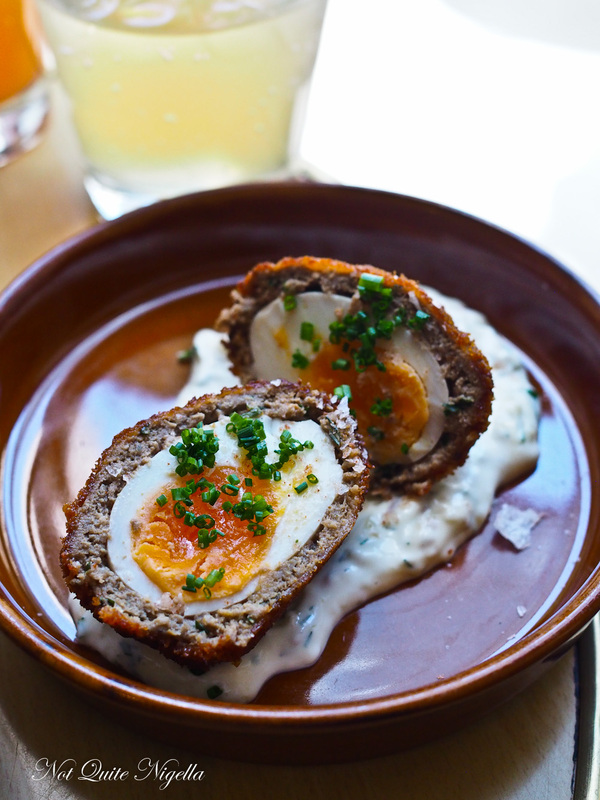 The Scotch egg is coated in minced venison and served with a tarragon and caper mayonnaise. It is delicious and goes so well with the aromatic mayonnaise. 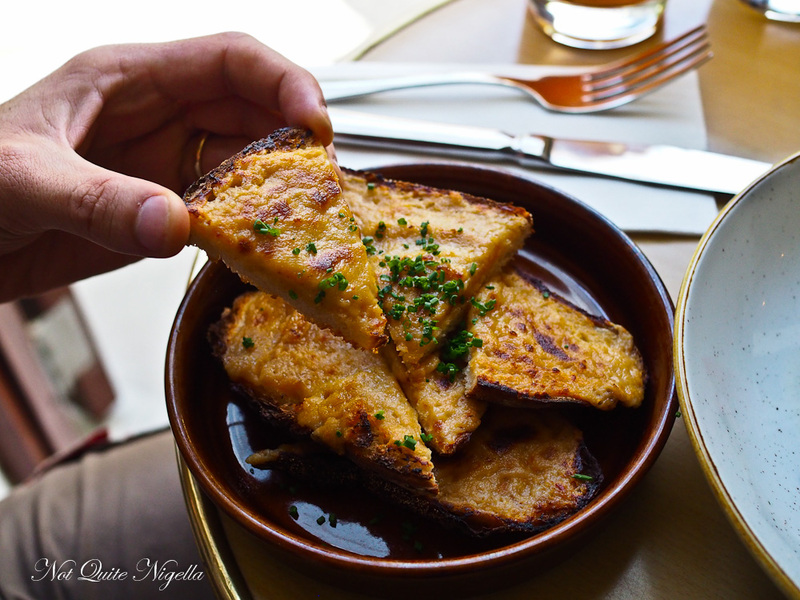 The Welsh Rarebit is a generous serve of three pieces of sourdough topped with seasoned gruyere and cheddar cheeses as well as chives. 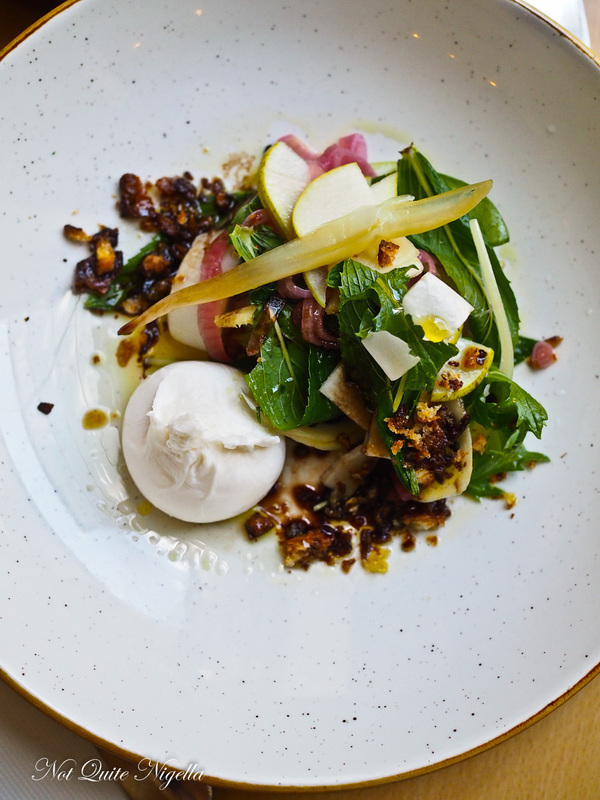 We also really enjoyed the burrata and pear with a mini burrata, pink pickled onions, sourdough crumbs, balsamic and olive oil. The perfect light lunch before we head off for our drive back to Sydney. So tell me Dear Reader, do you enjoy shopping? And do you like it when a cafe or eatery has a shop attached to it? All of these meals were independently paid for. travelSchnapps, Fly Fishing and Spa in the Snowy Mountains! travel Schnapps, Fly Fishing and Spa in the Snowy Mountains!